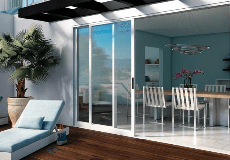 Marine View Windows & Doors delivers quality window and door replacement services to the greater Tacoma, WA area. That quality is much more than the materials we use; it’s in everything we do from the consultation to design to installation. Trust the experts at Marine View. Marine View Window & Door LLC is rated 5.0 out of 5 by 8. Rated 5 out of 5 by Kentfield from The whole process The whole process from selection to installation was a pleasure because of Eric and his team ! I highly recommend and will only recommend Eric with Marine view windows and doors if you’re looking to replace or upgrade he’s your guy ! Rated 5 out of 5 by RhondaColburn1023 from Great company! This is a great company! I would recommend this company for anyone who is looking for new windows. Eric helped us a lot with getting an estimate. I really like this company! I would definitely use them again for future renovations on my home. Thank you again! Rated 5 out of 5 by bryanaf101 from Great seller/installer Had a perfect experience with this company. Windows are great! Great customer service. Quick install. Rated 5 out of 5 by Mike M from Outstanding responsiveness with competitive price! Initially we went to a big-box hardware store to order a custom 4-panel sliding glass door and widows for our new construction project. The store estimated up to 3 months to install, so we considered other options. We liked Milgard’s features and reputation and decided to look for a certified dealer through a web search. We found Eric with Marine View Windows who, by luck, happened to be in our neighborhood and came out to measure the same day we called. Eric provided a cost and timeframe within 2 working days, making initial contact to installation less than 1 month! We enjoyed working with Eric and the team at Marine View Windows, who were very prompt and knowledgeable. Rated 5 out of 5 by Alligator from Couldn't have been better We did a lot of research on window manufacturers and installation companies and we're extremely pleased with the decision to go with Marine View and Milgard. The whole team was outstanding and the installation was perfect! We had siding done at the same time and Eric coordinated seamlessly with the siding contractor to make sure everything was done right. It really couldn't have been better. Rated 5 out of 5 by Curt K from Superb knowledge and service! Eric and all the employees from Marine View Window I have interacted with have been fantastic and far exceeded expectations. We were having a variety of major projects done in our 100 year old home this summer and Marine View was by far the best we worked with. Not only was everything done quickly and professionally, Eric was able to come up with creative solutions for some difficult spots in our home. It is like our whole house was transformed while maintaining the aesthetic and charm that made us fall in love with our home in the first place.